SSH is an awesome powerful tool, there are unlimited possibility when it comes to SSH. I’ve collected top 30 SSH shenanigans (or you can read SSH tips and tricks) that will are very handy. This will output the sound from your microphone port to the ssh target computer’s speaker port. The sound quality is very bad, so you will hear a lot of hissing. Will allow you to mount a folder security over a network. Good if only you have access to host1 and host2, but they have no access to your host (so ncat won’t work) and they have no direct access to each other. All the SSH connections to the machine will then go through the persisten SSH socket. This is very useful if you are using SSH to synchronize files (using rsync/sftp/cvs/svn) on a regular basis because it won’t create a new socket each time to open an ssh connection. Knock on ports to open a port to a service (ssh for example) and knock again to close the port. You have to install knockd. See example config file below. If you use Mac OS X or some other *nix variant that doesn’t come with ssh-copy-id, this one-liner will allow you to add your public key to a remote machine so you can subsequently ssh to that machine without a password. It can resume a failed secure copy ( usefull when you transfer big files like db dumps through vpn ) using rsync. It requires rsync installed in both hosts. Open a ssh session opened forever, great on laptops losing Internet connectivity when switching WIFI spots. We force IPv4, compress the stream, specify the cypher stream to be Blowfish. I suppose you could use aes256-ctr as well for cypher spec. I’m of course leaving out things like master control sessions and such as that may not be available on your shell although that would speed things up as well. this bzips a folder and transfers it over the network to “host” at 777k bit/s. This command sequence allows simple setup of (gasp!) password-less SSH logins. Be careful, as if you already have an SSH keypair in your ~/.ssh directory on the local machine, there is a possibility ssh-keygen may overwrite them. ssh-copy-id copies the public key to the remote host and appends it to the remote account’s ~/.ssh/authorized_keys file. When trying ssh, if you used no passphrase for your key, the remote shell appears soon after invoking ssh user@host. NTP is better, but there are situations where it can’t be used. In those cases, you can do this to sync the local time to a server. This will duplicate installed packages from one machine to the other – works for rpm/yum based systems. The next one works for Ubuntu/Debian based systems. (also works on Ubuntu) Copies the ‘install,’ ‘hold,’ ‘deinstall’ and ‘purge’ states of packages on the remote machine to be matched on the local machine. Note: if packages were installed on the local machine that were never installed on the remote machine, they will not be deinstalled by this operation. I have this on a daily cronjob to backup the commandlinefu.com database from NearlyFreeSpeech.net (awesome hosts by the way) to my local drive. Note that (on my Ubuntu system at least) you need to escape the % signs on the crontab. echo "uptime" | pee "ssh host1" "ssh host2" "ssh host3"
The pee command is in the moreutils package. Useful to get network access to a machine behind shared IP NAT. Assumes you have an accessible jump host and physical console or drac/ilo/lom etc access to run the command. Run the command on the host behind NAT then ssh connect to your jump host on port 2222. That connection to the jump host will be forwarded to the hidden machine. Note: Some older versions of ssh do not acknowledge the bind address (0.0.0.0 in the example) and will only listen on the loopback address. 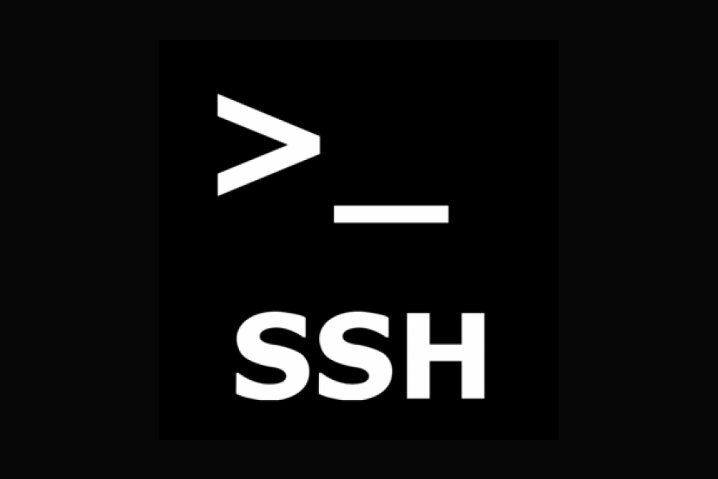 This is a long post containing collection of some SSH goodies. I meant to write it for a while before I lose the original link or forget it. #12 is right, but out of order. It should have been placed with #15 to make it obvious _what_ file you were removing lines from. The whole article would have been more readable if the different methods to do the same thing had been placed adjacent to each other. That’s good advice. I’ve fixed the ordering. Thanks. With such an extensive list of things you can do with ssh, maybe the next post ought to cover how to protect yourself from attacks via ssh. A few years ago I had my ISP set up a static address, so I could login remotely, and what you see immediately when you check your logs are incessant attempts to get into your system from all around the world. I got a separate guide on limiting SSH access to specific ports by country (i.e. change SSH port, limit by country to that port) using CSF. This helped me a lot as now I can jump onto my VPN and then ssh to my servers from a specific country that blocks these noisy attempts. Feel free to review it (you can do the same thing using other tools/iptables etc.) and let me know if that helps. Probably not a “shenanigan,” but it does happen over ssh. Oops. My angle brackets got eaten. Please delete my previous post. I’ll try again. had a lot of fun with #3 thx. but you might want to update it cuz oss is kinda old. Advantages disadvantages of using Proxy vs VPN vs TOR vs TOR and VPN together.